“The Zionists want to rule the world”, warned holy monk of Mt. Athos Elder Paisios before his death in 1994. On a remote, narrow peninsula in the Aegean Sea lies the monastic republic of Mt. Athos, spiritual heart of the Orthodox Christian world. For centuries monks have lived and prayed here for the salvation of their souls and the world, and every devout Orthodox Christian male strives to make the pilgrimage to Mt. Athos at least once in his life. Elder Paisios (1924-1994) is considered by many to have been the Holy Mount’s greatest ascetic of the 20th Century. Over the course of his life the words of this humble Greek monk, who came to be honored by believers as an “holy elder” (geronta in Greek, starets in Russian), were recorded by the thousands who journeyed to seek his advice and prophecies. In the following quotes Paisios warns of the great cataclysms which await us in our Apocalyptic times. His counsel of spiritual preparedness and how to achieve it will be of use to all those who strive to do good while maintaining spiritual equilibrium in a world growing increasingly hostile to our salvation. Paisios seems to have foreseen everything: the ever more frequent and senseless wars and the growing totalitarianism of “Schengen Europe” and “Homeland Securitized” America, the downward slide of our modern, globalized world into licentiousness and madness, the approaching Last Judgement. Translated from a Russian translation of the Greek original. What unsettles me is the reigning mood of tranquility. Something is in the works. We still haven’t understood properly either what’s going on, or the fact that we will die. I don’t know what will come of this. The situation is very complicated. The fate of the world depends on just a few people, but God is still putting on the brakes. We have to pray a lot, and with pain in our hearts, so that God will intervene: our times are very hard to understand. A lot of ash, rubbish, and indifference has accumulated, and a strong wind will be needed to blow it all away. It’s frightening! The Tower of Babel is upon us! Divine intervention is needed: Great upheavals are happening. What a bedlam! The minds of whole nations are in confusion. But in spite of the ferment I feel a certain consolation inside, a certain confidence. God still dwells in a part of the Christians. God’s people, people of prayer, still remain, and God in his all-goodness still tolerates us and will put everything in order. Don’t be afraid! We’ve gone through many storms, and still haven’t perished. So should we be afraid of the storm which is now gathering? We’ll not perish this time either! God loves us. In Man there’s a hidden power which comes out when necessary. The difficult years will be few. Just a lot of thunder. Don’t get upset in the least, for God is above everything. He rules everyone and will bring all to the defendant’s bench to answer for what they’ve done, according to which each will receive his just desserts from God. Those who’ve in some way helped the cause of good will be rewarded, and those who do evil will be punished. God will put everyone in their place in the end, but each of us will answer for what they did in these difficult years, both in prayer and in deeds. Today they’re trying to destroy faith, and for the edifice of faith to fall they quietly pull out one stone, then another. But we’re all responsible for the destruction; not just those who destroy but we who see how faith is being undermined and make no effort to strengthen it. As a result the seducers are emboldened to create even greater difficulties for us, and their rage against the Church and the monastic life increases. Today’s situation can be resisted only spiritually, not by worldly means. The storm will continue to rage a bit, will throw all the flotsam, everything unnecessary, onto the shore, and then the situation will become clearer. Some will receive their reward, while others will have to pay their debts. Today there are many who strive to corrupt everything: the family, the youth, the Church. In our day it’s a true witness to speak up for one’s people, for the state is waging war against divine law. It’s laws are directed against the Law of God. But we are responsible for not letting the enemies of the Church corrupt everything. Though I’ve heard even priests say: “Don’t get involved in that. It’s none of your business!” If they had reached such a non-striving condition through prayer I would kiss their feet. But no! They’re indifferent because they want to please everyone and live in comfort. Indifference is unacceptable even for laymen, and all the more so for the clergy. An honest, spiritual man doesn’t do anything with indifference. “Cursed be he that doeth the work of the Lord deceitfully”, says the Prophet Jeremiah (Jer. 48:10). There’s a war on today, a holy war. I must be on the front lines. There are so many Marxists, so many Masons, so many Satanists and assorted others! So many possessed, anarchists and seduced ones! I see what awaits us, and it’s painful for me. The bitter taste of human pain is in my mouth. In these difficult days each must do what’s in their power. And leave what’s out of their power to the will of God. In this way our conscience will be clear. If we don’t resist, then our ancestors will arise from their graves. They suffered so much for the Fatherland, and we? What are we doing for it?.. If Christians don’t begin to witness their faith, to resist evil, then the destroyers will become even more insolent. But today’s Christians are no warriors. If the Church keeps silent, to avoid conflict with the government, if the metropolitans are silent, if the monks hold their peace, then who will speak up? Give thanks to God for everything. Try to be manly. Pull yourself together a bit. Do you know what Christians are suffering in other countries? There are such difficulties in Russia! But here many exhibit indifference. There’s not enough disposition to kindness, love of devotion. If we throw aside fear then the faithful will be emboldened a bit. And those who wage war against the Church will have a harder time. In the past our nation lived spiritually, so God blessed her, and the saints helped us in miraculous fashion. And we were victorious against our enemies, who always outnumbered us. Today we continue to call ourselves Orthodox Christians, but we don’t live Orthodox lives. A lukewarm clergy lulls the people to sleep, leaves them in their former condition so they won’t be upset. “Look”, they say. “By all means don’t say that there’ll be a war, or the Second Coming, that one must prepare oneself for death. We must not make people alarmed!” And others speak with a false kindness, saying: “We mustn’t expose heretics and their delusions, so as to show our love for them.” Today’s people are water-soluble. There’s no leaven in them. If I avoid upsetting myself to protect my fleshly comfort then I’m indifferent to holiness! Spiritual meekness is one thing, and softness and indifference are quite another. Some say: “I’m a Christian and therefore I have to be joyful and calm.” But they’re not Christian. They’re simply indifferent. And their joy is only a worldly joy. He in whom these worldly seeds are present is no spiritual person. A spiritual person consists of nothing but pain. In other words, he’s in pain at what’s going on, he’s in pain for people’s condition. And divine comfort is bestowed upon him for his pain. “He Who Goes Low Goes Sure” Our goal is to live an Orthodox life, not just to speak or write Orthodox. If the preacher has no personal experience then his sermons won’t go to the heart, won’t change people. To think like an Orthodox is easy, but to live an Orthodox life requires effort. Today God tolerates what’s going on. Tolerates, so that evil people will be unable to justify themselves. God expects patience, prayer and struggle from us. Evil lies within us. There is no love in us, so we don’t feel all people to be brothers and are tempted by [the knowledge of] their sinful ways. But it’s not right when moral failings become known to all. The injunction of the Gospels to “tell it unto the Church” (Matt. 18:17) doesn’t mean that everything has to become known to everyone. By exposing the moral failings of our brother we arm the enemies of the Church, give them another pretext to escalate the war against Her. And the faith of the weak is shaken in this way too. If you want to help the Church, then try to mend your own ways, rather than others’. In straightening yourself out you straighten out a particle of the Church. If everyone were to do that then the Church would be in perfect order. But today’s people attend to everything under the sun, only not to themselves, because it’s easy to teach others, while mending one’s own ways requires effort. If we expose someone out of love, with pain in our hearts, then a change will occur in his heart whether he understands us or not. But to expose without love, with partiality, only enrages to object of our exposure. Our hostility strikes against his egoism, producing sparks like flint against steel. If we tolerate our brother out of love, he will feel it. But he also feels our hostility, even if we keep it inside and don’t express it. Our hostility arouses alarm in him. We must always ask ourselves: “Why do I want to say what I’m about to say? What is motivating me? Do I really care about my neighbor or do I just want to show him how wonderful I am, to show off a bit?” If someone tries to solve ecclesiastical problems allegedly out of faith, but really thinking of his own advantage, then how can such a person win God’s blessing? Sweet words and great truths have value when uttered by righteous lips. They take root only in people of good will and clean conscience. Truth, when used without judgment, can commit a crime. And he who possesses sincerity without reason commits a twofold evil, first against himself, then against others. Because there’s no empathy in his sincerity. A Christian must not be a fanatic but have love in his heart for all. He who throws words around carelessly, even true words, does evil. Veneration is a good thing, and the predisposition for good is also good, but spiritual judgment and breadth are needed to guard against fanaticism, that false companion of reverence. Wakefulness and sobriety are needed. All that a person does he must do for the sake of God. Christ must be at the source of every movement. Much attention is required, for when we do something with the aim of pleasing others we gain no benefit. We ascend to the heavens not through earthly striving but by humbling ourselves spiritually. He who goes low goes sure and never falls. Ours is an age of sensationalism and hullabaloo. But the spiritual life is not noisy. Divine enlightenment is required and when it’s not there the person abides in darkness. He may act out of good intentions but create many problems in his confusion, both for the Church and for society. There was a time when the Holy Spirit enlightened us and showed us the way. A grand business! Today it finds no reason to descend to us. Difficult years are ahead. The Old Testament Tower of Babel was child’s play compared with our age. The Seal of the Antichrist Becomes a Reality… It’s possible that you’ll live through much of which is described in the Book of Revelations. Much is coming to the surface, little by little. The situation is horrible. Madness has gone beyond all bounds. Apostasy is upon us, and now the only thing left is for the ’son of perdition’ (2 Thess. 2:3) to come. The world has turned into a madhouse. A great confusion will reign, in which each government will begin to do whatever comes into its head. We’ll see how the most unlikely, the most insane, events will happen. The only good thing is that these events will happen in very quick succession. Ecumenism, common markets, a one-world government, a single made-to-order religion: such is the plan of these devils. Difficult times are ahead. Great trials await us. Christians will suffer great persecutions. Meanwhile, it’s obvious that people don’t understand that we’re on the verge of the end times, that the seal of the Antichrist is becoming a reality. As if nothing’s happening. That’s why Holy Scripture says that even the chosen will be deceived. God is not something they take into account. One sign that the fulfillment of prophecy is near will be the destruction of the Mosque of Omar in Jerusalem. They’ll destroy it in order to restore the Temple of Solomon which used to be on the same place. 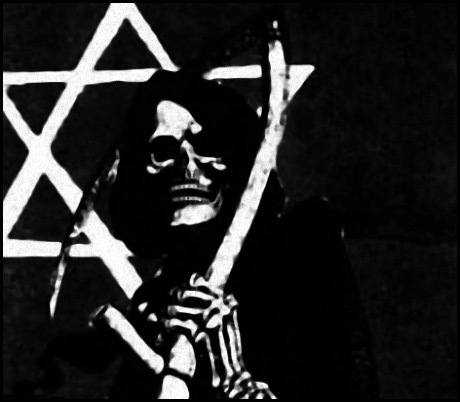 Two thousand years ago it was written in the Book of Revelations that people will be marked with the number ‘666′. As Holy Scripture says, the ancient Hebrews laid a tax on the peoples they conquered in various wars. The yearly tax was equal to 666 talents of gold. (3 Kings 10:14, 2 Chronicles 9:13.) Today, in order to subjugate the whole world they’ll once again introduce the old tax number linked to their glorious past. That is, ‘666′ is the number of mammon. Everything is going as planned. They put the number a long time ago on credit cards. As a result, he who is not marked with the number ‘666′ will be unable to buy, sell, get a loan, or find work. Providence tells me that the Antichrist wants to subjugate the world using this system. It will be foisted upon people with the help of the mechanisms which control the world economy, for only those who receive the mark, an image with the number ‘666′, will be able to take part in economic life. The mark will be an image which will first be placed on all products, and then people will be compelled to wear it on their hand or forehead. Little by little, after the introduction of ID cards with the three sixes, after the creation of a personal dossier, they’ll use cunning to introduce the mark. In Brussels a whole palace with three sixes has been built to house a central computer. This computer can keep track of billions of people. And we Orthodox are resisting this because we don’t want the Antichrist and we don’t want dictatorship either. “The most we can suffer is martyrdom.” There will be three and a half hard years. Those who don’t agree with the system will have a rough time. They’ll constantly be trying to imprison them, using any pretext they can find. They won’t torture anyone, but without the mark it will simply be impossible for a person to live. “You’re suffering without the mark”, they’ll say. “And if you had just accepted it you would have had no difficulties.” For this reason, by learning to live a simple, moderate life here and now you’ll be able to get through those years. By getting a little bit of land, raising a little wheat and some potatoes, planting some olive trees, and keeping animals of some sort, a goat or chickens, the Christian will be able to feed his family. Stockpiling is of little use: Food doesn’t keep for long before spoiling. But these oppressions will not last for long: three, three and a half years. For the sake of the chosen the days will be hastened. God won’t leave a person without help. Tomorrow thunder will strike, and the brief dictatorship of the Antichrist-satan will come. Then Christ will intervene, will give the whole anti-Christian system a good shaking up. He’ll trample upon evil and turn everything to good use in the end. – And if someone receives the mark unknowingly? It’d be better to say “uncaringly”. How can one be unknowing, when everything is crystal clear? And if a person doesn’t know, then he should become interested and find out. By accepting the mark, even unknowingly, a person loses Divine Grace and gives himself up to demonic influence. When a priest immerses the infant in the baptismal font, the infant receives the Holy Spirit without knowing it, and Divine Grace begins to abide in him. Some people say: “What’s destined by God to be will be. What business is it of ours?” They can say whatever they want, but in reality it’s not like that! Unfortunately, some modern priests diaper their flock like infants, to keep them from getting upset. “What’s going on today isn’t important”, they say. “Don’t be alarmed. All you need is to have faith in your hearts.” Or they scold: “Don’t speak on that topic, about ID cards or the mark of the beast. It will just upset people.” If they were to say instead: “Let’s try to live more spiritually, to be nearer to Christ and not to be afraid of anything. You see, the most we can suffer is martyrdom,” then they’d at least be preparing their flock for the coming tribulations. Knowing the truth, a person will begin to mull things over and shake himself out of his sleep. What’s going on will begin to cause him pain. He’ll begin to pray and to be on his guard, so as to not fall into that trap. What do we see now? It’s bad enough that cunning ‘interpreters of Scripture’ are commenting prophecy after their own fashion. They’re representatives of the clergy, but they’re more cowardly than lay people. And it would behoove them to exhibit a healthy spiritual unease and help Christians by sowing beneficial concern so they’ll be strengthened in their faith and receive divine consolation. I’m amazed: Doesn’t what’s happening give them any cause for concern? And why don’t they at least add a question mark to the interpretations they come up with? And if they help the Antichrist and the mark, lead other souls to perdition? No, behind the “perfected credit card system”, behind “computerized security” lurks worldwide dictatorship and the yoke of the Antichrist. “And he causeth all, both small and great, rich and poor, free and bond, to receive a mark in their right hand, or in their foreheads. “And that no man might buy or sell, save he that had the mark, or the name of the beast, or the number of his name. “Here is wisdom. Let him that hath understanding count the number of the beast: for it is the number of a man; and his number is Six hundred threescore and six.” (Rev. 13:16-18) “You must be ready for death.” The world has lost control of itself. Honor and self-sacrifice have abandoned people. The taste of sacrificial joy is unknown to today’s people, and that’s why they’re so tortured. For only when you co-participate in the pain of another do miracles happen. If a person doesn’t cultivate in himself the spirit of self-sacrifice then he thinks only of himself and doesn’t receive Divine Grace. The more a person forgets himself, the more God remembers him. Those who die heroically don’t really die. And where there’s no heroism nothing worthwhile can be expected. Our time is like a bubbling and steaming cauldron. One needs temperament, audacity, courage. Take care not to be caught unprepared, if something is to happen. Start getting ready now so that you’ll be able to resist difficulties. Christ Himself tells us: “Therefore be ye also ready” (Matt. 24:44), doesn’t He? Today, living in such complicated times, we have to be not merely ready, but triply ready, at the minimum! Possibly we may meet not only with sudden death, but with other dangers. So let’s drive away the desire to arrange our lives comfortably! May love of honor and the spirit of self-sacrifice live in us. I see that something is in the works, that something lies just around the corner, but it’s constantly being put off. Little delays all the time. Who’s creating the delays? God? Another month passes, then another couple of months! That’s how it all goes. But since we know what awaits us, let’s develop love in ourselves, to the degree that we can. That’s the main thing: for true brotherly love to exist between us. Kindness, love — that’s strength! Guard the secret as well as you can and don’t indulge in excessive frankness. If “he and I and the bell-ringer” are all in on the secret, then what will come of that? Death in battle adds greatly to God’s mercy, for a person who dies the death of the brave sacrifices himself to defend others. Those who give up their lives out of pure love in order to defend their neighbor are imitating Christ. These people are supreme heroes. They arouse fear in our enemies. Death herself trembles before them, because they scorn her due to their great love, and attain immortality in this fashion, finding the key to eternity under the gravestone. They enter into eternal blessedness without difficulty. That’s why I say to you: Cultivate self-sacrifice, brotherly love. May each of you attain a spiritual condition which will allow you to get out of difficult situations. Without a spiritual condition a person loses courage, because he loves himself. He can renounce Christ, betray Him. You must be ready for death. We believe that nothing is in vain, that our sacrifice has meaning. Remove your “I” from everything you do. The person who leaves his “I” rises above the earth, moves in another atmosphere. As long as he remains inside himself he cannot become a heavenly being. There is no spiritual life without sacrifice. Try to remember, at least a little bit, that death exists. And since we’ll die in any case, let’s not take care of ourselves too much. Look after your health, but not to the degree where you begin to bow down before your peace and well-being. I’m not asking anyone to throw themselves headlong into dangerous adventures, but you have to have at least a bit of heroism, my brother!.. Feats are committed not by the tall in size but by the audacious, the heartfelt, and the self-sacrificing. There’s no barbarity in spiritual audacity. Such people don’t fire at the enemy, but over his head, forcing him to surrender. A kind man prefers being killed to killing. The harmonious person is prepared for accepting divine powers. The mean, the cowardly, and the small of spirit, on the other hand, use impudence to hide their fear. They’re afraid of themselves as well as others and shoot without stopping. Courage and audacity are one thing; criminality and malice quite another. In order to succeed at anything one needs a wild streak, in the positive sense. He who lacks this wild streak can become neither a hero nor a saint. The heart must become uncalculating. In our age audacity has become a rarity. Water, not blood, flows in people’s veins. So if a war were to break out, God forbid, many would simply die of fright while others would lose heart, because they’re used to an easy life. Fear is necessary when it helps a person turn to God. Fear from lack of faith, from lack of trust in God, on the other hand, is ruinous. Such fear is driven out by audacity. We must remember: The more a person fears, the more he is tempted by the enemy. If a person refuses to strive to become courageous, and doesn’t strive for real love, then when a difficult situation arises he’ll become a laughingstock. The warrior takes joy in the fact that he’s dying so that others won’t have to. If you dispose yourself this way then nothing will be frightening. Courage is born from much love, kindness and self-sacrifice. Today people don’t even want to hear about death. However, he doesn’t remember about death is living outside of reality. Those who fear death and love life’s vanities are in a state of spiritual stagnation. Bold people, who always keep death before them and think about it constantly, on the other hand, conquer vanity and begin to live in eternity and heavenly joy while still here on earth. May he who fights in the war for Faith and Fatherland cross himself and not fear, for God is his helper! God Himself will decide whether he is to die or to live. One needs to trust God, not oneself. The Russians will take Turkey. The Chinese will cross the Euphrates. Providence tells me that many events will happen: The Russians will take Turkey and Turkey will disappear from the world map because a third of the Turks will become Christians, another third will die in the war and another third will leave for Mesopotamia. The Mid-East will become a theater of a war in which the Russians will take place. Much blood will be spilled. The Chinese, with an army of 200 million, will cross the Euphrates and go all the way to Jerusalem. The sign that this event is approaching will be the destruction of the Mosque of Omar, for its destruction will mark the beginning of work by the Jews to rebuild the Temple of Solomon, which was built on the same spot. There will be a great war between Russians and Europeans, and much blood will be spilled. Greece won’t play a leading role in that war, but they’ll give her Constantinople. Not because the Russians adore the Greeks, but because no better solution will be found. The city will be handed over to the Greek Army even before it has a chance to get there. The Jews, inasmuch as they’ll have great power and the help of the European leadership, will become proud and insolent beyond measure and conduct themselves shamelessly. They’ll try to rule Europe. They’ll play all sorts of tricks, but the resulting persecutions will lead Christians to unite completely. However, they won’t unite in the way desired by those who are now engaging in various machinations to create a single church united under a single religious leadership. Christians will unite because the unfolding situation will naturally separate the sheep from the goats. Then the prophecy: “one flock and one shepherd” will actually come to pass. Don’t give in to panic. Cowards are of use to no one. God looks at a person’s situation and helps him. We have to remain cold-blooded and use our brains. No matter what happens, we must continue to pray, think and act. It’s best to always stand up to a difficult situation using spiritual means. However that spiritual boldness which is born of holiness and striving towards God is missing today, as is the natural boldness needed in order not to turn coward in the face of danger. In order to hold back a great evil, great holiness is needed. A spiritual person can hold back evil and help others. In the spiritual life the biggest coward can attain great courage by entrusting himself to Christ and His divine help. He can go to the front lines, do battle with the enemy, and win! So therefore we will fear God alone, not people, no matter how evil they may be. The fear of God makes any coward into a hero! A person becomes fearless to the extent he unites with God. Uh…do you have the Greek original? Is the Greek original published somewhere? As far as I know – this book is not available in English. Do you think Christ would approve of anti-Semitism? I think you’re setting up a strawman argument. Was Elder Paisios ‘anti-Semitic’? Christ Himself denounced the Pharisees, calling them “serpents, vipers, sons of the devil”… Is Jesus Christ (God Himself) ‘anti-Semitic’? So-called ‘anti-Semitism’ is a ridiculous misnomer. What I am; what Elder Paisios was; what the Lord Jesus Himself is – is anti-Pharisaic… anti-Talmudic. So-called ‘anti-Semitism’ is a reaction to the doctrines and blasphemies (against Christ our God & against the Holy Spirit) found within the Talmud and other Pharisaic writings. What could be more ‘anti-Semitic’ than the ongoing murder of truly Semitic peoples? In the Holy Land? It’s shameful! But there are many people (of the human race) who were born into ‘Jewish’ (Pharisaic) families… who I would have no problem calling my brothers (such as Nathanael Kapner of Real Zionist News for example). This shows that it has naught to do with ‘race’. It does have everything to do with the ‘Jewish’, anti-Christ; anti-Christian; anti-humanitarian hatred of everyone on earth who isn’t ‘Jewish’. This all derives from the tenets and doctrines contained within the Talmud – which is itself derived from the Pharisaic ‘traditions of men/traditions of the elders’… traditions which were also soundly denounced by Jesus the Christ; God Himself. I ask again: is God ‘anti-Semitic’? Since the coming of the Messiah – there are no ‘Jews’ (Judeans) or ‘Gentiles’ (Greeks)… There are only those who accept the Christ; those who reject the Christ; and those who have yet to learn of the Christ. I re-posted this — hope you don’t mind — with some other notes from and about Elder Paisos. 1. The term is ridiculous. What is this “antishemitism”? By the way, do you think Christ would approve of the slaughter committed by the Jewish Pirates of the Mediterranean? Do you think Christ would approve of the Jews stealing the name of His kingdom for their secular parasitic state? It is well for the Jews that Christ is merciful. Please see comment #2 above. I don’t hate anyone… But the Talmudists hate me (and you too unless you’re one of them). They hate me because their Talmud and their ‘rabbis’ teach them to. They teach them from the time they are children that the Goyim (non-Jews) are not really human (we have no souls according to Talmud) and we are put here on Earth by God in order to serve them. Me pointing that out doesn’t mean I hate them. Actually I feel sorry for them… Their ‘Jewish’ upbringing was a lie from the get-go. I wish they would accept the fact that Jesus is the Christ and begin to love rather than hate. I pray that they are all saved… but I fear for them. The way their Talmud blasphemes Jesus, His blessed mother, all the while denying the work of the Holy Spirit does not bode well for them. In fact, they attribute the works of the Holy Spirit rather to Satan. We are ignorant of the teachings of the zionists, but that is no excuse. There are Jews who are anti-zionists. Does that mean that they are “self-hating” Jews? But, it would be good if the host of this site would help his fellow Christians by giving sources for his words. Point them to the pages of their texts and teachings and to sites on-line that explain their teachings, so that they will be over to overcome their ignorance and the effect of zionist propaganda. But I decided that I would try as much as possible not to pollute this place with their blasphemy; not to sully it with their lies. If people want to learn about the so-called ‘Jews’ and their filthy Talmud, there are plenty of other places online dedicated to that. Here’s one: Come and Hear! As you say, other people’s ignorance gives them no license to accuse me of “Jew-hatred”. May God open their eyes to the real hate. LOVE Elder Paisios! A true warrior not afraid to tell the Truth! Thanks so much for this! Thank you also, for the link to the Talmud. My God, so much hatred…I had no idea. Sharing with everyone I know! Most Jews hate the Zionists. They are violent and fanatical and have killed moderate Jews for not being like them. Please prove the statement “Most Jews hate the Zionists”. You can’t. There are very few Jews who even whisper about ‘Zionists’. It could be that even those who do ostensibly speak against the Zionists are simply running interference.